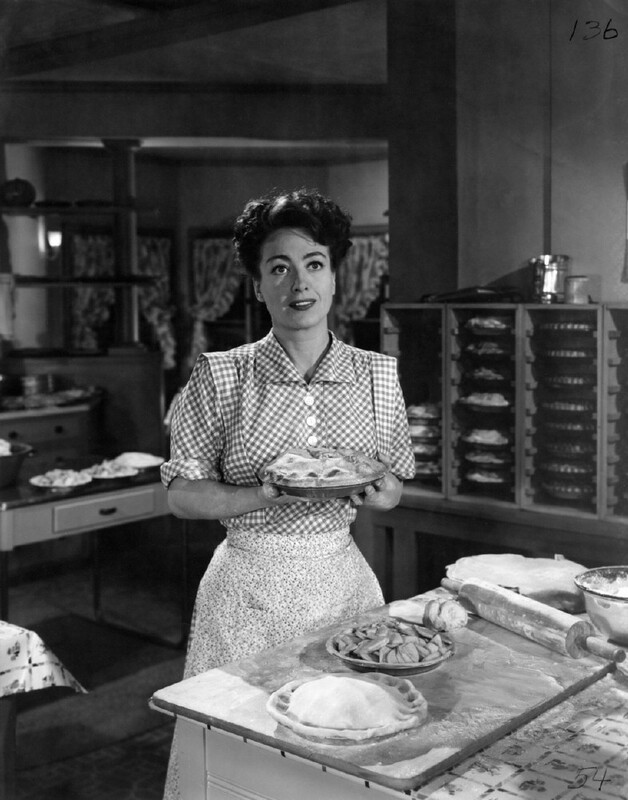 A classic film noir, Mildred Pierce ensures that after endless struggles, happy endings are hard to find. Fortunes are squandered, loyalties betrayed, businesses ruined, love lost, and shots fired in a delicious cocktail centred around all-too-human failures. 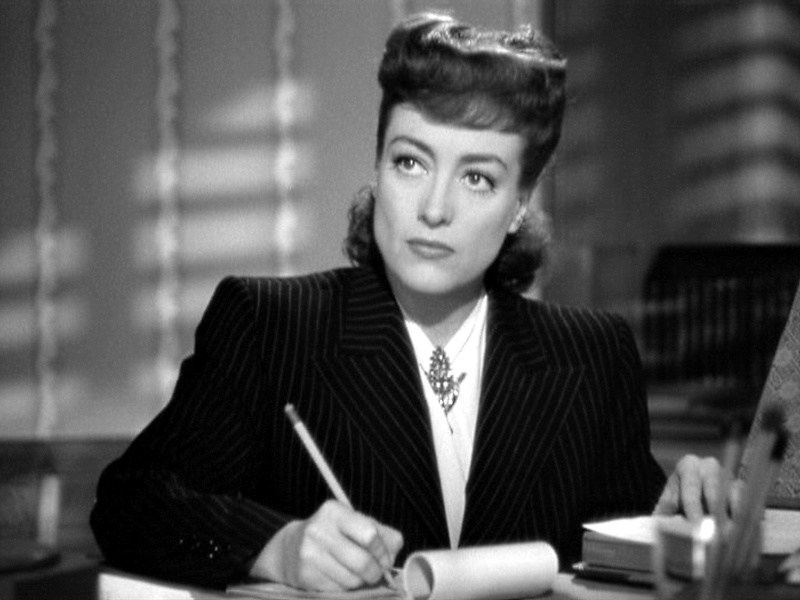 Joan Crawford in the title role dominates a cast of characters dripping with barely disguised devious self-interest. The film starts with the murder of Monte Beragon (Zachary Scott), shot multiple times by an unseen assailant at a beach house. Monte's wife, Mildred Pierce Beragon (Joan Crawford) tries to frame long-time friend and frustrated suitor Wally Fay (Jack Carson) for the murder, but the police don't buy it: they arrest Mildred's first husband Albert Pierce (Bruce Bennett) and accuse him of being the shooter, motivated by jealousy. Upon hearing this, Mildred claims to have murdered Beragon herself, and recounts her story in flashback. Mildred's marriage to Albert fell on hard times when he lost his job, and they separated. Mildred struggles to make something out of her life, and sacrifices everything for the pleasure of her daughters Veda (Ann Blyth), a spoiled teenager who wants the best of everything and thinks her mother classless, and 10-year old tomboy Kay. Mildred works her way up from a lowly waitress to a restaurant tycoon, with help from Wally's business acumen and the management know-how of friend Ida (Eve Arden). Calamity befalls Kay, but nothing is good enough for Veda. Mildred's troubles escalate when she falls for useless philanderer Monte Beragon, eventually marrying him for reasons other than love. But Veda is self-obsessed, mean-spirited, and insists that all planets revolve around her, resulting in a descent to tragedy. After more than twenty years at MGM, Joan Crawford's career seemed to be on an irreversible downward trajectory. Mildred Pierce was her first movie for Warner Bros, and her captivating performance was rewarded with the Academy Award for Best Actress. Crawford infuses Pierce with steely determination undermined by the fatal flaw of smothering her daughter with a love of unchecked materialism, launching Veda into an orbit of doom. Mildred is a perfect tragic heroine, doing everything in her power to serve her daughter and being rewarded with a succession of disasters. Ann Blyth is every parent's worst nightmare as Veda, a rotten apple fallen at the base of the tree and as evil as a manipulative teenager can get. Veda learns all the wrong lessons from her mother, filtering out the love and sacrifice and only internalizing an ever-growing need for status. Blyth's ability to switch from hateful schemer to tearful victim is all too chilling. Among the men, Jack Carson delivers an honest performance as Wally Fay, a man who always makes it clear where he stands, open about his relentless pursuit of Pierce and trading sharp banter with Ida. The screenplay (co-written by William Faulkner) simplifies the James M. Cain novel in a classic example of edgy adaptation that breaks past the need to include every detail from the book. Director Michael Curtiz keeps Mildred Pierce moving at a brisk pace, making effective use of his trademark artistry with shadows and contrasts. Mildred Pierce is a cautionary tale about the blind spot that parental love can cause. The monster that feeds on devotion grotesquely decomposed into materialism just grows bigger with every meal.